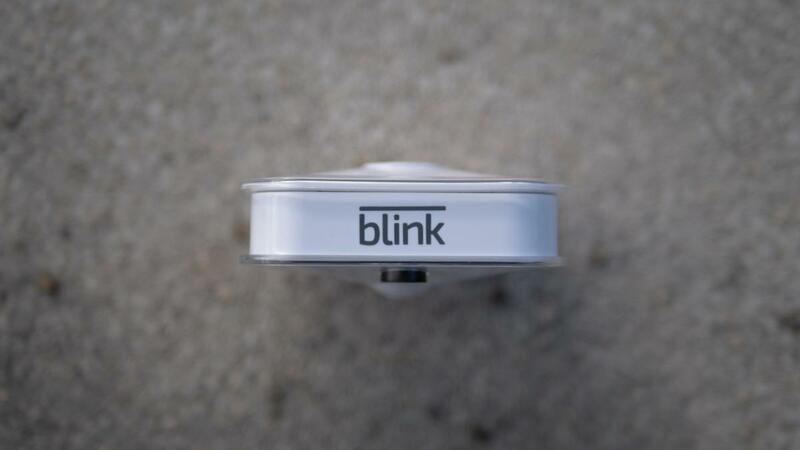 Blink security camera review: The best value security camera? If you’ve read our Blink XT review, you’ll already know what to expect from the vanilla variety of Blink. The “TL;DR” version of this review is “pay £20 more for the Blink XT” but do keep reading if you want to know exactly why. The latter of these sounds almost too good to be true and those with long memories will remember Y Cam offered something similar before deciding it was unsustainable. That said, a company of Amazon’s resources certainly has a better chance of making it a sustainable model than a plucky startup. Still, consider yourself warned. Blink vs Blink XT: What’s the difference? Bluntly, the Blink is cheaper because it’s demonstrably a weaker product. While the Blink XT can be used inside or out, the regular Blink can’t survive the elements so is strictly for indoor use. While the Blink XT has night vision, the Blink does not and compensates by flashing a bright light the second it detects movement in pitch-black conditions. While the Blink XT films in 1080p, the Blink is stuck at 720p. All of this, for me, adds up to more than the 13.4% extra Amazon is asking for the XT model, but your mileage may vary. To save you doing the maths and trying to figure out what 13.4% adds up to, here’s the answer: one Blink camera with hub costs £130, while one Blink XT camera with a hub costs £150. Those hubs, by the way, are identical (colour aside) and will work with up to ten cameras of either flavour, meaning you could have five Blinks and five XTs connected if you wanted. That scales up all the way, by the way. A three-camera pack of Blinks costs £270, while a three pack of XTs costs £330. A five pack comes to £400 and £500 respectively. That sounds pricey but let me give you a reality check. Smart security camera systems are pricey and Blink looks pretty cheap compared with its rivals. Take the Ring Stick Up Cam for example, which comes in at £180 and requires a subscription to be useful. Then there are the big boys: the D-Link DCS-2802KT and Arlo Pro 2 kits. Both these start at around £300 for a single camera and offer optional subscriptions for power users. Yes, you can get security cameras on the cheap. BT’s £60 Smart Home Cam proves that, but not without cutting out features or sacrificing quality. For my money, Blink sits in the sweet spot between the two. So, how problematic are the cuts the Blink has over the XT? Well, if you want to use it outside, it’s a non-starter. The Blink camera has no protection against the elements. You can’t even point it out the window, because it can’t detect movement through glass. Fine, but let’s imagine you’re just looking for indoor use and you want to save money – after all, the savings do add up substantially if you need multiple units. Here, the missing night vision is a serious issue. It’s not that the camera can’t shoot in the dark, it’s just that it gets around the problem with a blinding white light when it detects movement. This might be useful from a security perspective, warning burglars to make a sharp exit, but it’s a poor solution – even if the footage captured isn’t disastrous. Below you can see the Blink footage, followed by the Blink XT night vision. Bear in mind the latter is also illuminated by the light of the former. Speaking of footage, that’s the final drawback. The regular Blink shoots in 720p rather than 1080p. Is that an issue? Well, not as much as you’d think because by default the Blink XT is set to 720p as well. That makes spotting the difference quite a tall order as the clips below show. There are some artefacts on the cat bowl and slightly softer edges on the Blink, but there’s not much in it. So that’s the difference you’re paying for. Probably not worth an extra £20 on its own but when combined with night vision and the fact that the XT can also be used outside, I’d say it’s worth it. Remember you can always mix and match cameras according to your needs because the hub can support up to ten cameras of either type. Otherwise, it’s all the same, with exactly the same pros and cons. The free cloud storage is capped at two hours’ worth of total footage and will delete the earliest recordings if it hits capacity. Two hours doesn’t sound a huge amount but remember that, by default, the Blink only records five-second clips when it detects motion. That means you can store 1,440 events before you need to worry about auto-deletion and you can download any video yourself if you want a permanent backup. You can make those clips longer if you want but it’ll impact the incredibly long battery life the Blink boasts. 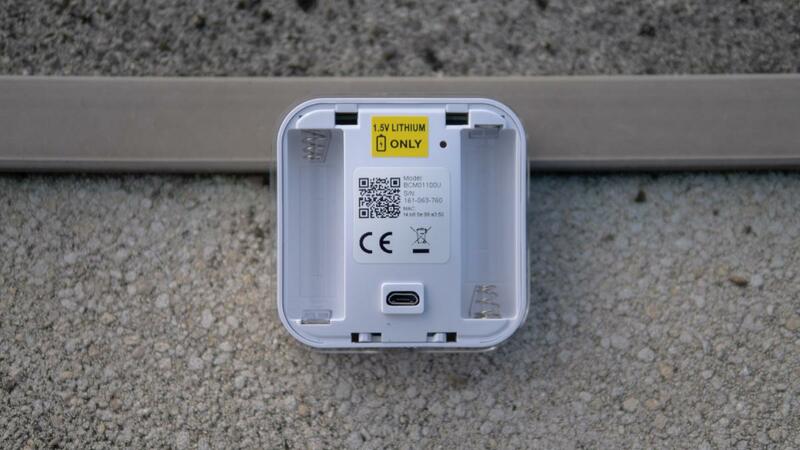 It comes with two lithium AA batteries and the company reckons it’ll last for two years before you need to replace them. Those calculations are based on 4,000 five-second recordings per year or around 11 per day. If you keep your camera running all the time, the chances are you’ll get a lot more than that, but fortunately it’s very straightforward to disarm all your cameras with a single tap (when you’re at home, say) or set a schedule where they automatically arm and disarm at certain times of day. Unfortunately, that seems to apply to every camera on the hub, but it’s better than nothing and should prevent your cloud storage filling up with useless clips. I had three issues with the Blink XT and all are duly replicated with the Blink. First, on a couple of occasions, it saved video clips with no movement in. It’s not clear if it started recording too late or if it was just a false positive. Second, the mounting kit – should you choose to use it – can only be adjusted in the vertical plane, meaning finer twisting and angling is impossible. Third, the Blink only has a microphone and not a speaker; that means it will record sound but you can’t speak back through the app. All of these are disappointing in their own way but hardly deal breakers. The only deal breaker with the Blink is that the Blink XT offers a lot more flexibility for a mere £20 more. However, If you have no need to put security cameras outside, you’re happy with 720p footage, and you don’t object to a lack of night vision, then the Blink is a solid security camera at a keen price. The long battery and free cloud storage are excellent features and they make the Blink camera the ultimate in ‘set and forget’ smart home security cameras.